Pet Fashion, developed by 65 Gb Software LLC, was just updated on Sept. 18th to deal with some major bug issues. 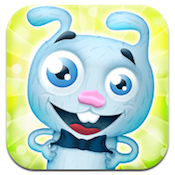 The resulting iPhone game is leaner, cleaner, and lots of fun for kids of all ages. Pet Fashion is part paper doll, part cute pet game, and part photo manipulator. Pick a cute pet, give it a name, and dress it up. 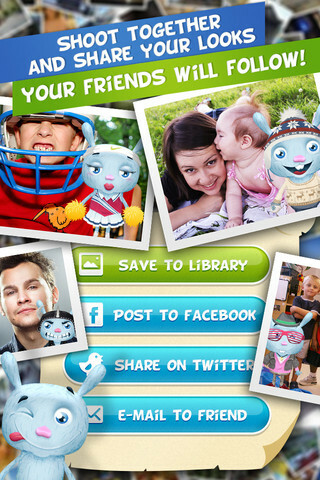 Next, take it social on your Facebook Timeline or Twitter when you overlay your cute pet on top of your favorite photographs. 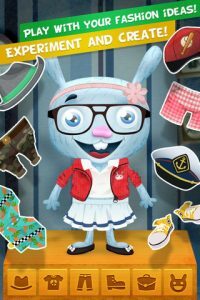 There are 9 different clothing packs of unique outfit options in Pet Fashion, which include Casual, Hipster, Clubber, Sports, Adventurer, Military, Brutal, Formal and Grandma styles. Once you’re done playing around with outfits, you can shoot a picture, save it to your phone, or send your creation to someone via email. 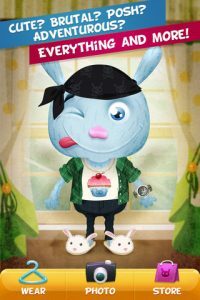 The art style is totally cute, and the bunny you have to dress up is really engaging for kids and bored grown-ups alike. In addition to changing the clothes on your virtual dress-up pet, you can also change his face to make him look more feminine, more goofy, mean and scary, and more. Within Pet Fashion, you also have the option to buy some in-app upgrades to the clothing selection. 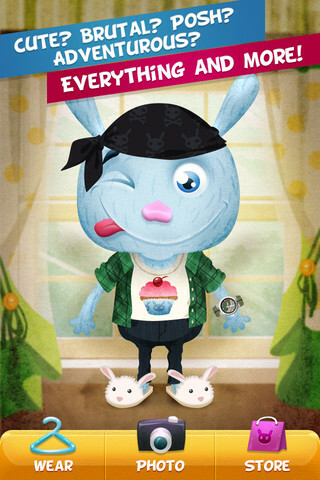 There are sporty, explorer, military, and even rock n roll style clothes you can choose. The “Lady and Dandy” selection is arguably the cutest, with little lace aprons and top hats. The controls for taking a photo and overlaying the pet are remarkably sophisticated, and its easy to place the bunny exactly where you want him for maximum comedic effect. If you want to dress up your photos in a cute, kid-friendly way, Pet Fashion is an iPhone game definitely worth checking out. Pet Fashionis compatible with iPhone 3GS, iPhone 4, iPhone 4S, iPod touch (3rd generation), iPod touch (4th generation) and iPad. Requires iOS 4.3 or later.A small expedite review was paid by the developer to speed up the publication of this iPhone app review.